Imagine an indoor, temperature-controlled, off-leash dog park where a lifeguard is always “on duty” – that’s our Doggie Dates class! This class offers a perfect balance of education and fun. While your dog plays off-leash (with trainer supervision), you’ll learn about their unique social behavior, social preferences, appropriate vs. inappropriate play, on- and off-leash greetings, dog body language, and more. Groups will be matched up based on temperament, size, age, and compatibility, and students can look forward to on-going play sessions and life-long friendships between owners and dogs. PLEASE NOTE: Our current Doggie Dates classes are Mondays at 8pm for shy dogs and Thursdays at 7pm for playful dogs. 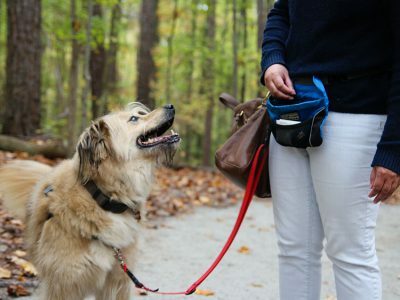 Please call us – 919-451-4495 – if you are interested in our Doggie Dates classes but do not know which class is the most appropriate for your dog. Shy Dog Class – This means that all the attending dogs are fearful or shy around other dogs, humans, or both. During this class, we will talk about fearful behavior in dogs, effective exercises to help them overcome that fear, and let the dogs go at their own, individual pace. 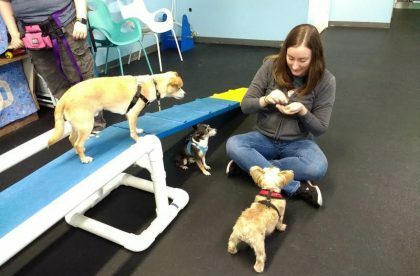 If your dog has trouble meeting new doggie or human friends, this is the class for you! This is one of our on-going classes so you can enroll and begin coming to class at any time. It is also very flexible and accommodates busy schedules. Weekly attendance is not required, and there are no makeup lessons required for missed weeks. You have twelve business weeks to attend your six classes. You do not need to know which six dates you will attend ahead of time. We only ask that if you are going to miss a class, you email your instructor beforehand to let them know. Students are given a chance to renew for another six weeks of fun at the end of each package, and can continue to attend in their class session as long as space is available.